The Senior Center, the Oregon Public Library, and Oregon Community Education are hosting a New Year's Eve Party on Monday, December 31. Activities include juggling and lessons by Danny Tomaro, craft projects, a family-friendly movie, board games, bean bag toss, and much more! Lil' Buddies Popcorn will be providing hot dogs, popcorn, and other items for sale. 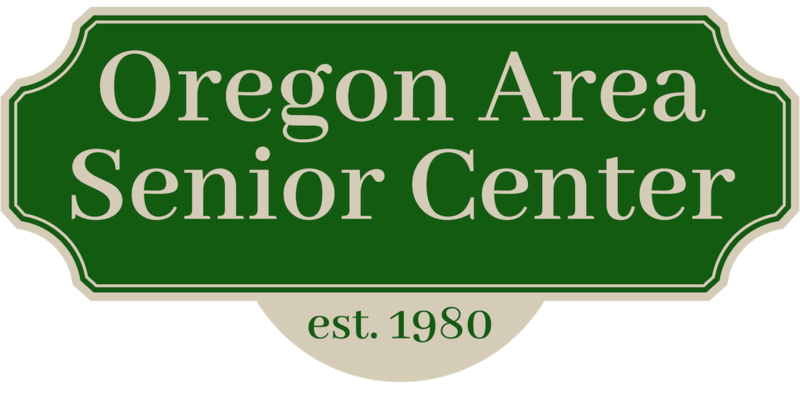 All events take place at the Oregon Senior Center from 5:00 to 9:00 pm and the Oregon Public Library from 5:00 to 8:00 pm. This event is free to all and fun for all ages! Our guest speaker was Commander Terry McCardle. Our Auction was lots of fun!